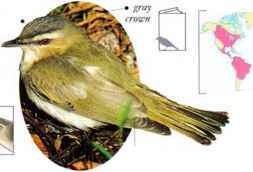 A large vireo with bright yellow eye patches and throat, this species is common in woodland edges and thickets, where it searches carefully for insects at mid-heiglu in the foliage. It is relatively tame and will allow an observer to approach. 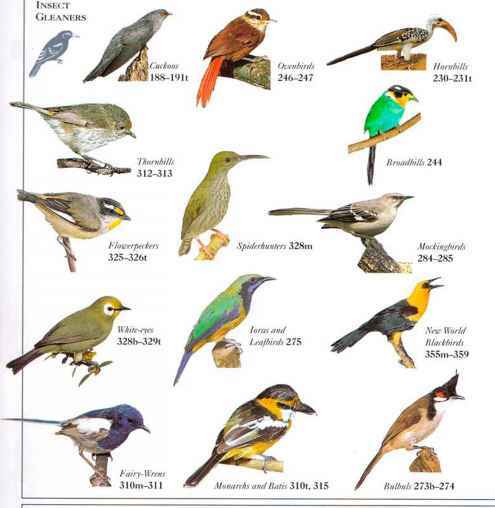 • Distribution Breeds in S.E. Canada and E. USA. Winters in C. Amcrica and N. South America. 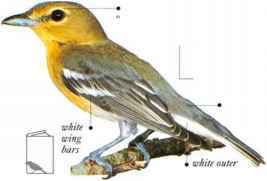 T his woodland bird is usually hidden in the high treetops but can be detected by its song when breeding. It feeds mainly on insects, taking berries in autumn and winter. • NliST A cup of grasses, bark strips, and lichens, slung below a branch.